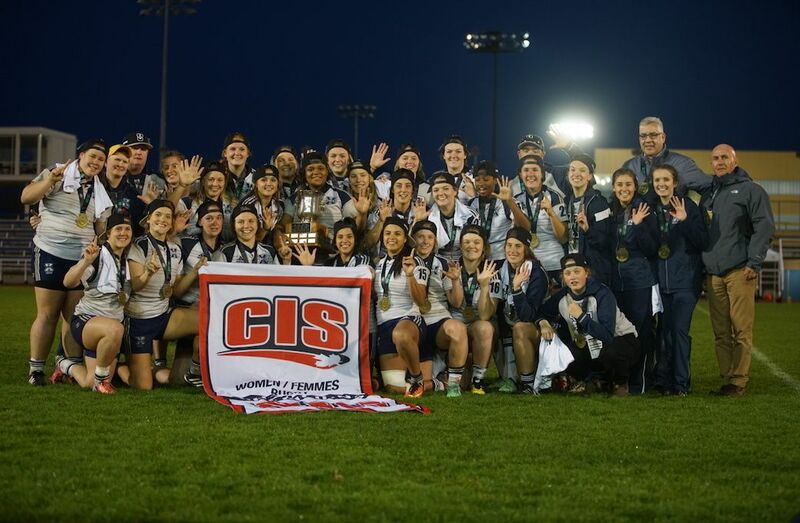 In a battle of two teams that had won every game they played in 2016, the StFX X-Women outlasted the Ottawa Gee-Gees claim the title of national champions with a 27-19 victory in Victoria. “Last year we had little bit of an off year and the girls decided in the off-season that they were going to put in the hard work,” said X-Women head coach Mike Cavanagh. “I’m so happy that their hard work paid off.” As they’ve done all tournament long, the X-Women took the lead early in the contest. StFX used strong pushes from their forwards to keep the pressure on Ottawa and steadily march toward the try line. Danielle Cormier was the one who eventually pushed through the Ottawa defence to score the opening try. “Their forwards are so good, they’re big and strong. As soon as they pin you inside your 22 they aren’t going to leave without points,” said Gee-Gees head coach Jen Boyd. The Gee-Gees didn’t enter the tournament as the undefeated RSEQ champions for the third straight season for no reason, however. Just ten minutes after StFX scored, Ottawa answered with a try of their own coming from the strong work of Emily Gray. 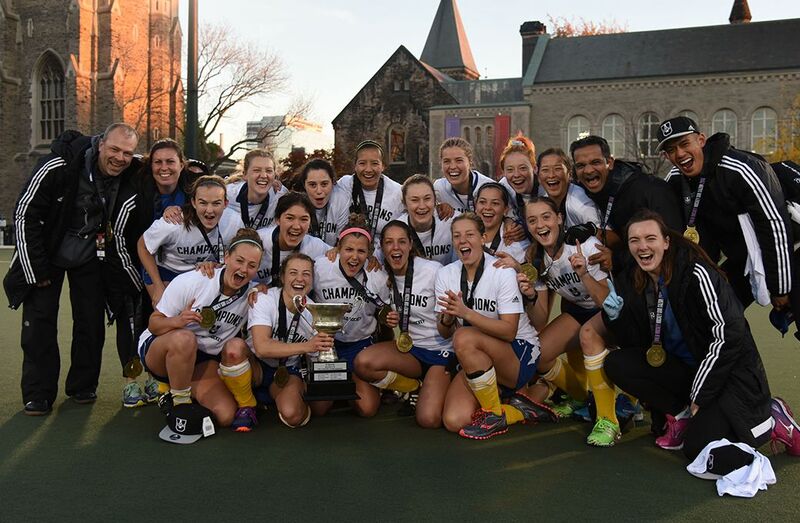 The teams traded tries through the rest of the first half and it looked like they were destined to head in the halftime tied 12-12, until championship MVP Sabrina McDaid struck a penalty goal in stoppage time. The teams were stuck in a midfield battle for the first twenty minutes of the second half with neither one willing to give an inch. Championship All-Star Joanna Alphonso broke the deadlock and increased X-Women’s lead in the 64th minute when she finished off another lengthy StFX drive by plunging over the try line. “She’s our leader, when she plays well everyone plays well. 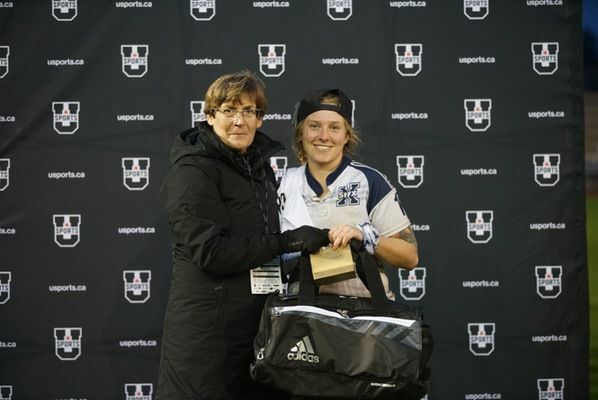 She leads by example, is a monster in the scrums, a very hard tackler and has a complete game,” said Cavanagh. Yet again the Gee-Gees answered quickly. Tori Wyman cut through the StFX defence to score the try and Emma Sandstrom knocked in her second conversion of the game to make the score 20-19. “We never gave up, that’s how it’s been the whole year. We play for each other and that was no different today,” said Boyd. The X-Women defence stood firm through the rest of the game when it needed to and their persistent offensive efforts paid off in the 75th minute when they were awarded a penalty try due to repeat infractions from Ottawa. McDaid made no mistake on the convert to secure the StFX lead and bring her points total up to 19 in the tournament. For Ottawa the loss was one that brought bitter disappointment, but also continues a trend of improvement in their third-straight trip to nationals. “We were fourth three years ago, third last year and second this year, so we just keep progressing and we look forward to the future for sure,” said Boyd.